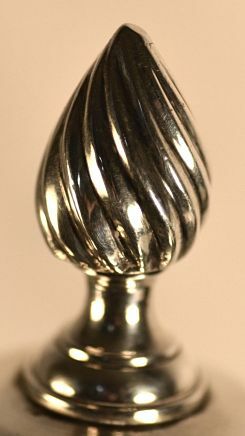 of plain baluster form with a gadrooned border to the lid and the foot, leaf capped spout and fixed flame finial. 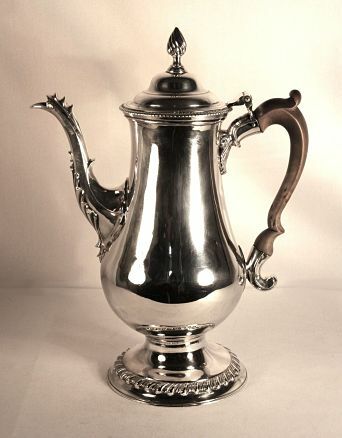 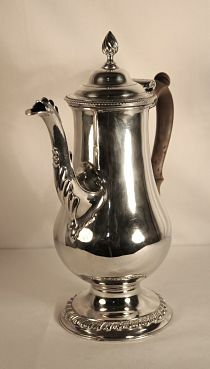 The wooden scroll handle has leaf and diamond shaped silver junctions. 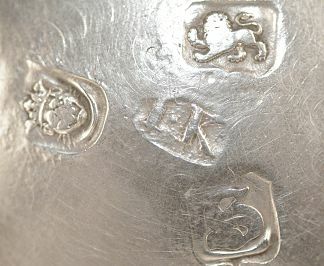 Good hallmarks to the base and the lid also displays the lion passant.